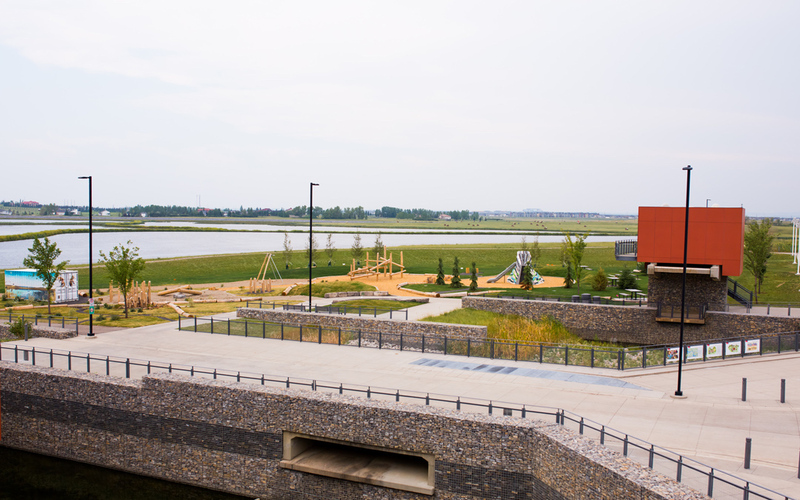 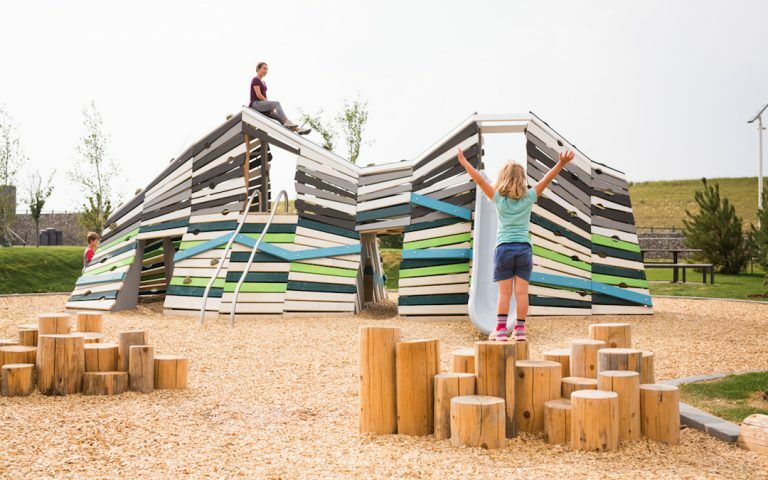 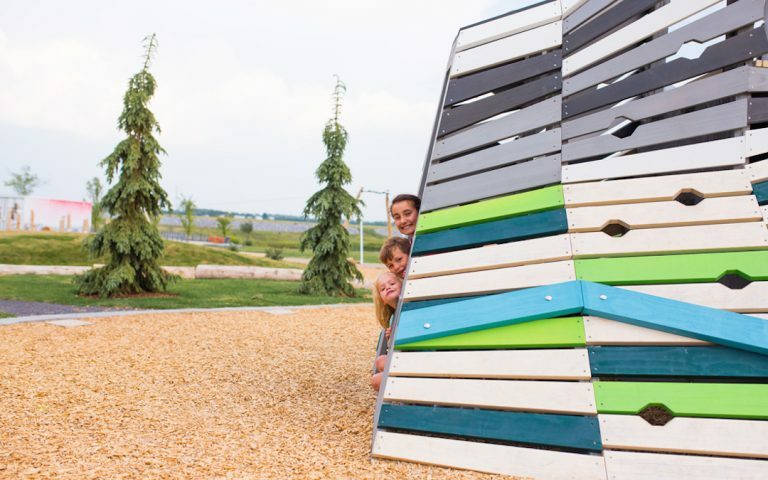 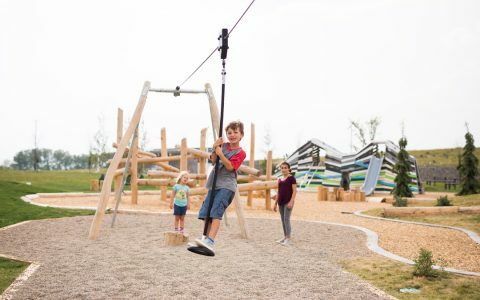 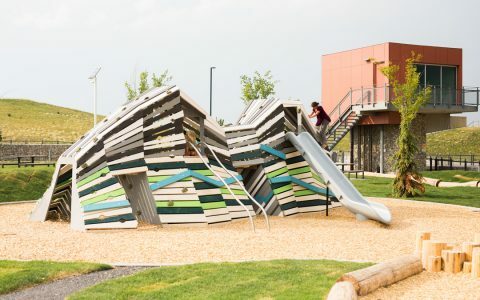 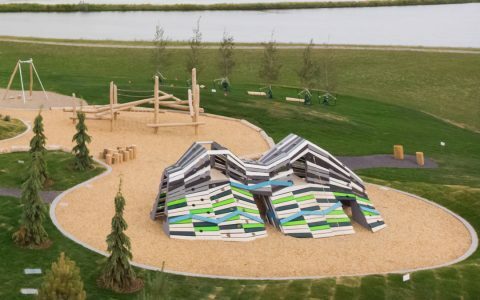 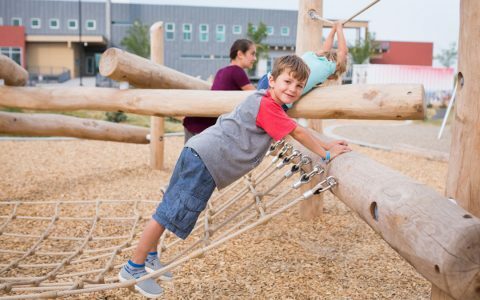 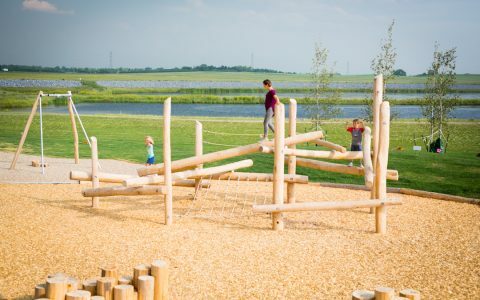 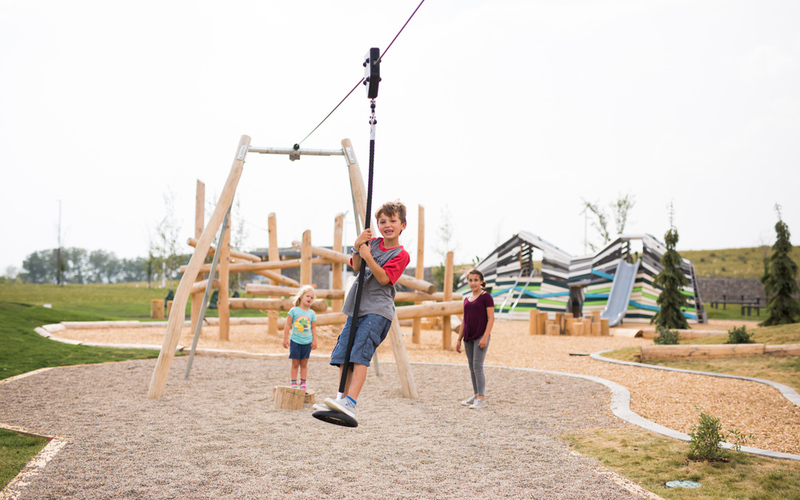 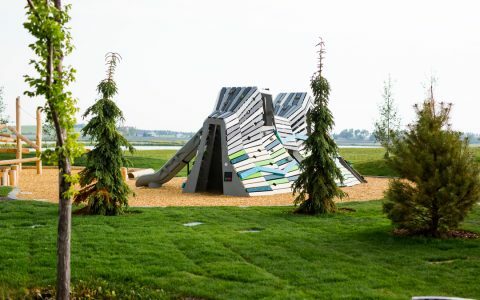 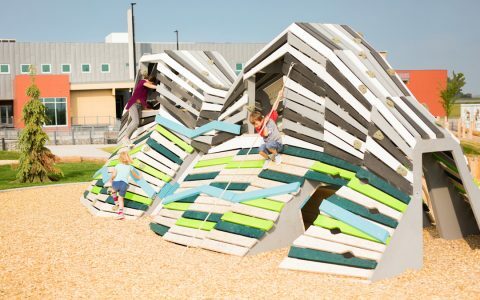 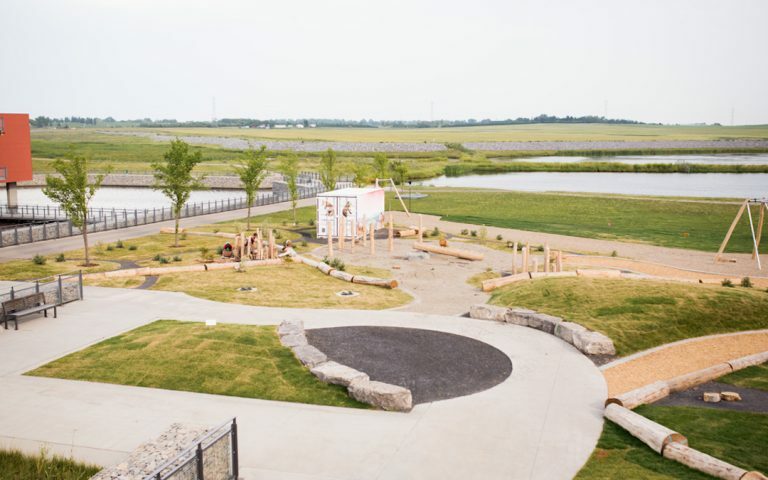 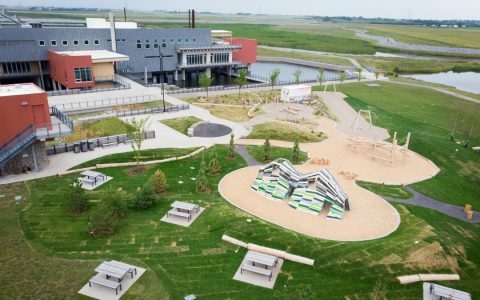 This natural playground, designed with Ground Cubed Landscape Architects for the Ralph Klein Regional Park, is a part of the City of Calgary’s plan to extend park networks and encourage healthy and active lifestyles. Local school children brainstormed ideas for playground equipment and gave feedback for the design of the play area. 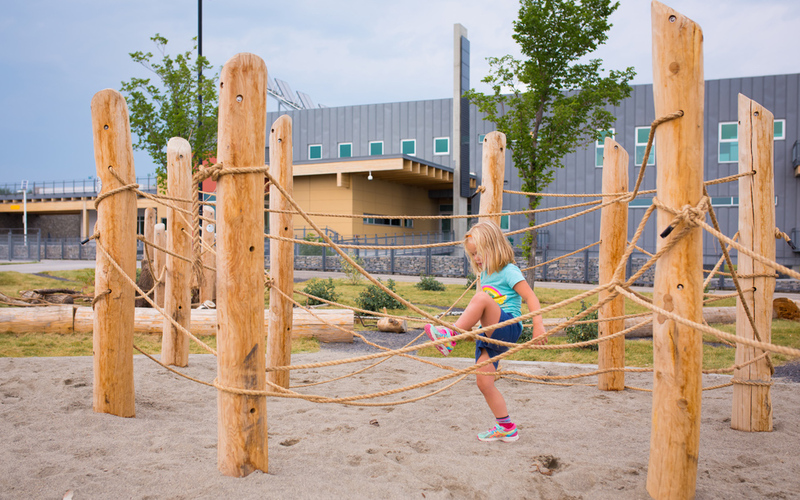 The playground represents three different zones of the local watershed: the mountains and glaciers, the foothills and the prairies. 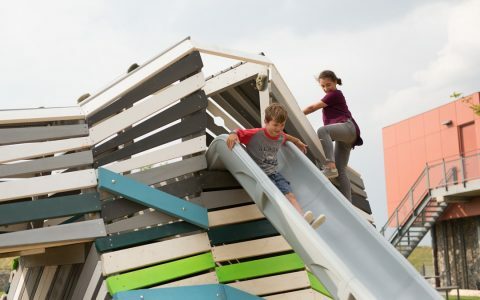 On the mountain sculpture, kids can climb the outside, crawl through tunnels, and discover platforms, slides and ropes for climbing. 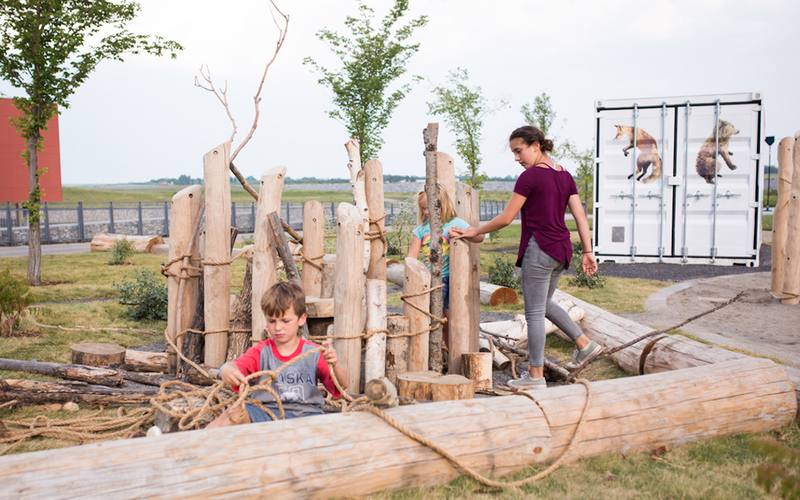 With so many routes and methods to explore the sculpture, there are multiple physical and cognitive skills that are developed. In the foothills section of the playground, a log jam™, similar to what might be found at the river’s edge, provides new climbing challenges with nets and timbers. The prairie zone offers play closer to ground level where children can build with loose parts and sand. In addition to the play elements, thought was given to the planting design; the mountain area features coniferous plantings, while the foothills have more deciduous trees and shrubs, and the prairies feature a grassland habitat. 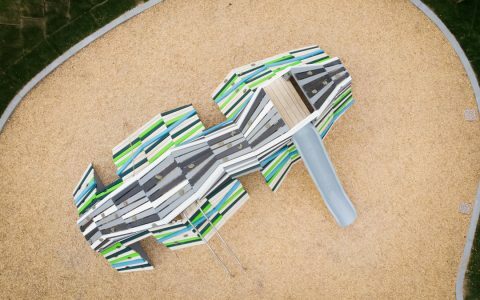 The complete playground design tells a part of the water-cycle story, demonstrating how water moves from the mountains, through the foothills, and into the prairies and wetlands. 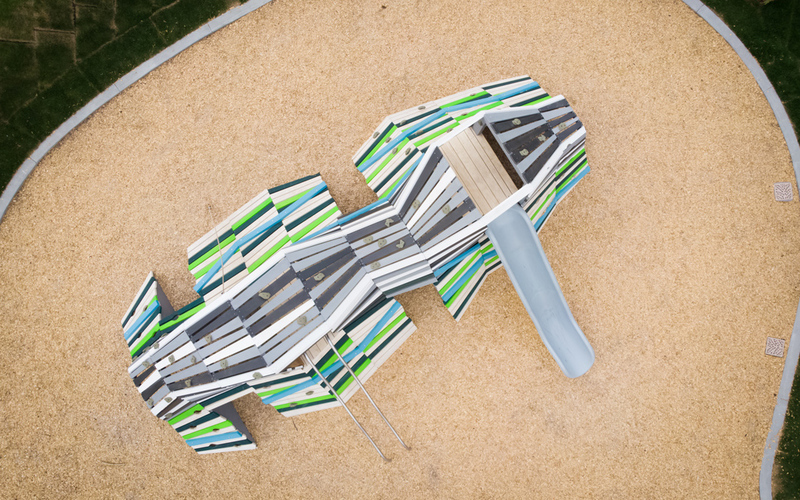 Each part of the playground shows the human-environment connection. 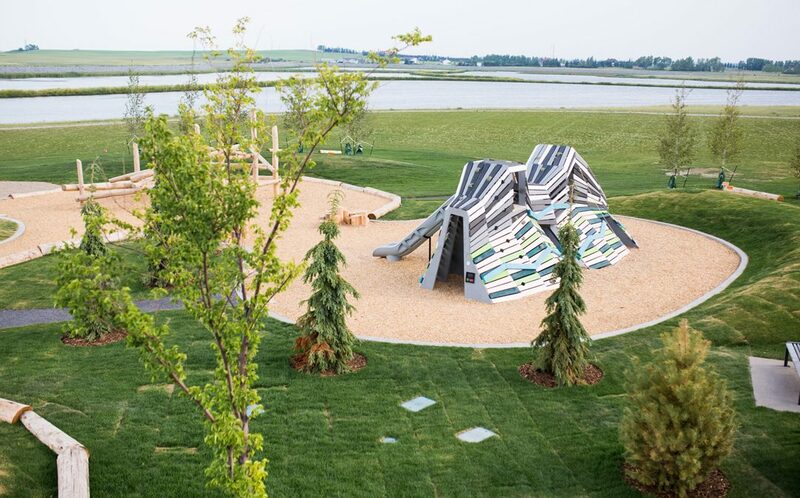 The Ralph Klein playground is a #TDCommonGround project – one of the flagship projects of the TD Friends of the Environment Foundation.